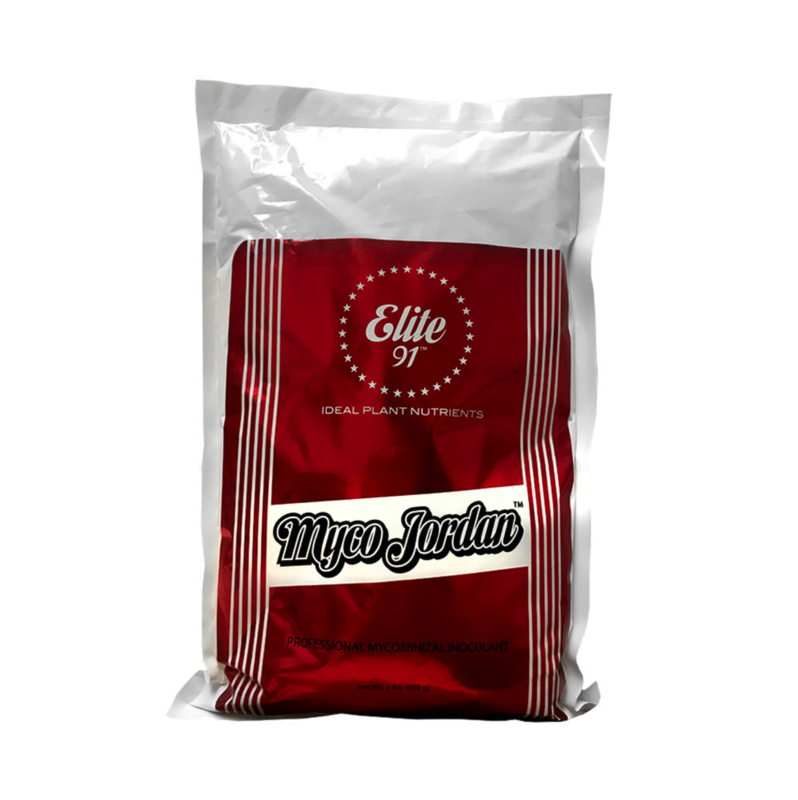 MYCO JORDAN is a wettable powder containing 100% organic endomycorrhizal fungi at superior concentrations of the purest viable spores used as a soil drench or seed/root inoculant. These fungi attach and construct a vast colonization of symbiotic associations inside and outside plant roots that are actually extensions (absorbent fibers) of the root zone forming thousands of access points which significantly enhance water and nutrient availability and absorption; which will promote profound plant vigor, optimized root growth, enhanced crop quality and increased yields. Designed for use in Soil, Coco and Hydroponics. Start by pre-mixing the product with a small amount of water and gradually mix in more water until the desired dilution rate is attained. Add to reservoir. Keep agitated throughout application. This will keep the mycorrhizal fungi in suspension for equal distribution when applying as a root drench. Seed treatment: Lightly dust each seed prior to planting. Cuttings: Add 1-2 teaspoon(s) per gallon of water. Pre-soak starter grow medium up to 15 min prior to placing new cuttings. Transplanting small plants: Lightly dust each plant site with 1-2 teaspoon(s) around the root zone or directly on the plant roots. Make sure the roots are in direct physical contact with the powder inoculum. Amending: Mix thoroughly 1-3 oz. with 2.5 cu.ft. of growing substrate. Slurry Tech: Mix 1/4LB to 1.1LB(s) MJ with 300ML – 1 litre RO water. However, the concentration of spores with MJ and your desired consistency of the slurry depends on how you like it to be, free flowing or on the thicker side. Mix the slurry very well each time(spores will settle if no consistent water movement) prior to dunking/swiping the root zone a quarter inch to a half inch of the rockwool/starter cubes. Use this method and place your cuttings back in the tray/insert for 48-72 hours. After you have transplanted all your cuttings, dilute the remaining slurry with more water and apply generously to the grow medium. Established Plants in Soil & Coco: Add 1-2 tablespoon(s) per gallon of water. Pour solution around the base of each plant site. Apply once up to 3 times a week until the 2nd or 3rd week of flower. Hydroponics & Irrigation: Add 1/2 – 1 cup per 50 gallons of water. NOTE: Remove filters and use nozzles with a minimum of 18 mesh (1 mm) openings to avoid clogging. Apply once a week or with every nutrient change out until the 2nd or 3rd week of flower. NOTE: Usually one treatment with MYCO JORDAN™ as a root drench for established plants in Soil & Coco at an application rate of 1-2 tablespoon(s) per gallon of water will provide sufficient root inoculation for the entire crops life cycle. NOTE: Some commercial fertilizers and/or mineral salts may be detrimental to the spores. If using a fertilizer at the time of planting, use at half the rate recommended by the manufacturer for best results. 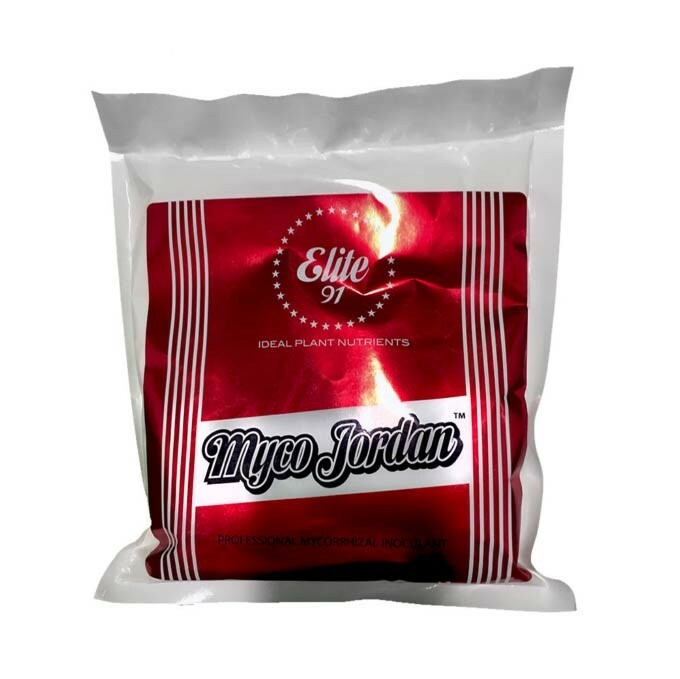 For indoor growers using drain-to-waste (DTW) applications: Pre-soak the growing medium prior to applying MYCO JORDAN™ as a root drench to prevent leaching of the spores. Avoid excess run off during application. Avoid prolonged exposure of the inoculum to direct sunlight. Avoid inhalation of the powder inoculum. 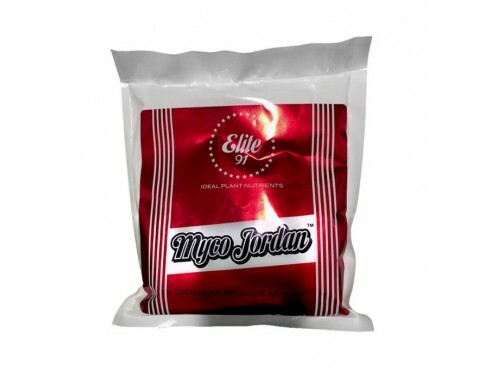 Shelf life of MYCO JORDAN™ is a guaranteed minimum of 2 years. Ideal storage conditions are in a dry cool place at temperature ranges of 45 – 85°F.